Path Lab Delhi | Labs in Delhi | Diagnostic Lab | Pathology Testing Lab : Go on a health date with a complete lipid profiIe test! Go on a health date with a complete lipid profiIe test! Fast paced, hectic and stressful routine coupled with sedentary job, inactive lifestyle and dietary mistakes results in people getting detected with a number of lifestyle diseases like thyroid, blood pressure (both high as well as low), cholesterol, diabetes etc. As a result, it has become rather necessary for each one of us to undergo a lipid profile test every once in a while. 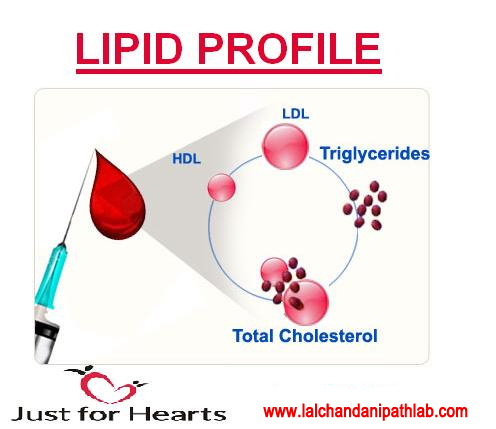 This post will help provide some basic information about a lipid profile test. Although the name ‘lipid’ may sound Greek or Latin to you, but in reality it is not that difficult to comprehend. To begin with, lipid test is a simple blood test which helps in giving you an overview of how healthy or unhealthy your heart is. This lipid or cholesterol test also helps you determine your cholesterol as well as the good as well as bad fat levels in the body. Obesity: Being overweight can invite lot of health problems like diabetes, blood pressure, cholesterol, etc. So if you weigh higher than the average range as per your height and age, then you must get a lipid test done on priority. Smoking or drinking: If you consume alcohol or smoke even if occasionally, then it is a good idea to go for a cholesterol test. This is because smoking and drinking can a have a very bad impact on your heart. Hence, it is always better to get yourself checked. Genes factor: If either of your parents or both suffer from medical ailments like blood pressure, diabetes, thyroid etc, then there is a strong possibility of the same getting transferred to you. In order to face any complications later, it is suggested that you get yourself thoroughly checked every once in a while. If you think lipid test costs too much, then you are wrong! 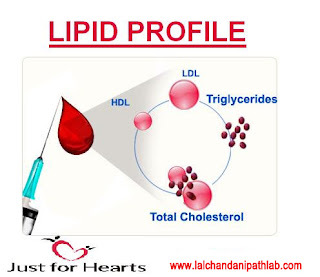 A Lipid Profile Test costs not more than five or six hundred rupees and that too, in some of the best pathological labs in the country like Dr. Lalchandani labs which not just offer reasonable rates but also facilities like Blood Test, free pick up of samples etc and latest technology. So a Lipid Profile Test Price at Dr. Lalchandani’s path lab will also entitle you for a free pick up of your sample at your convenience. So taking care of your health has become all the more convenient!